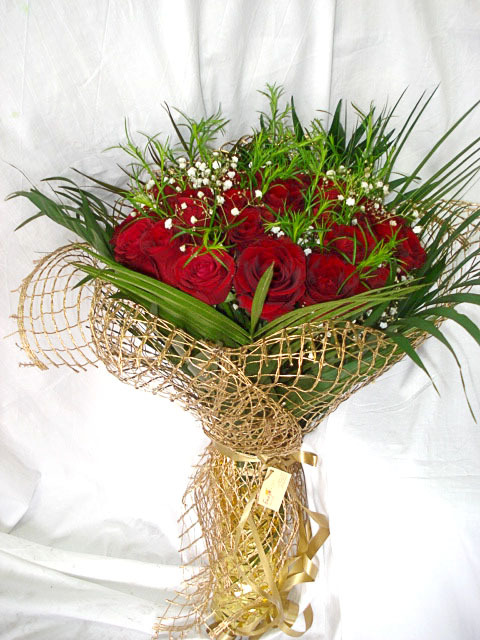 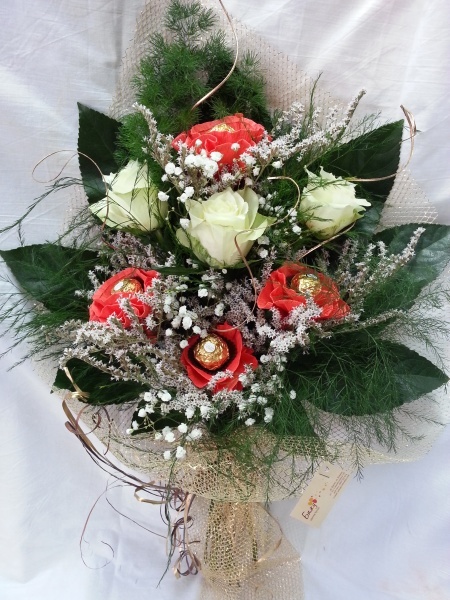 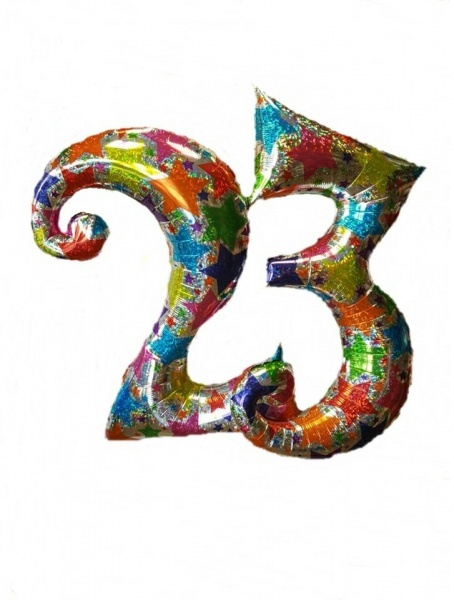 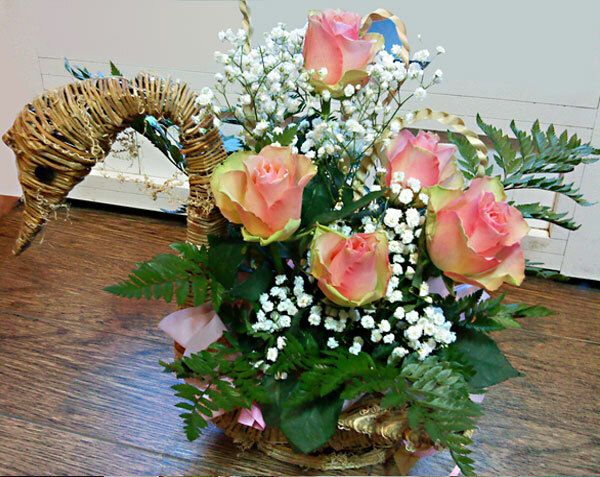 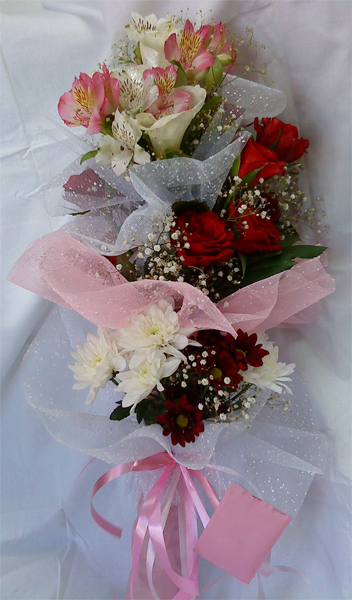 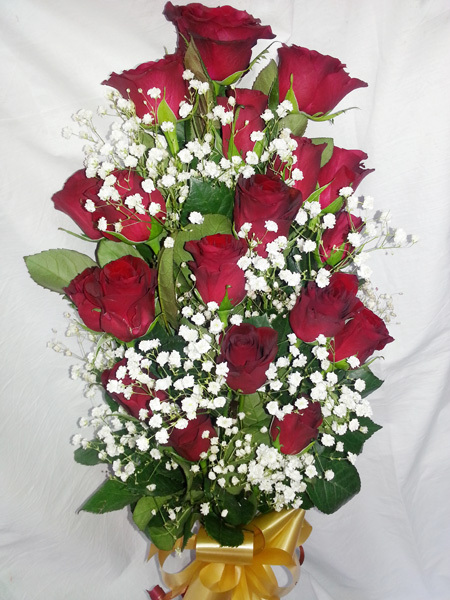 19 fiery roses, delicate cloud of gipsofila suitable foliage and large golden ribbon. 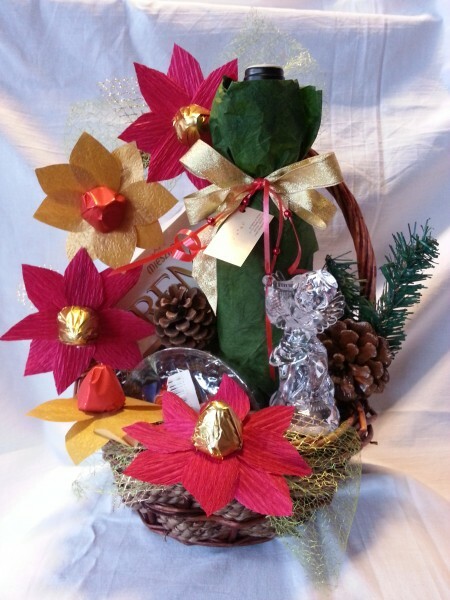 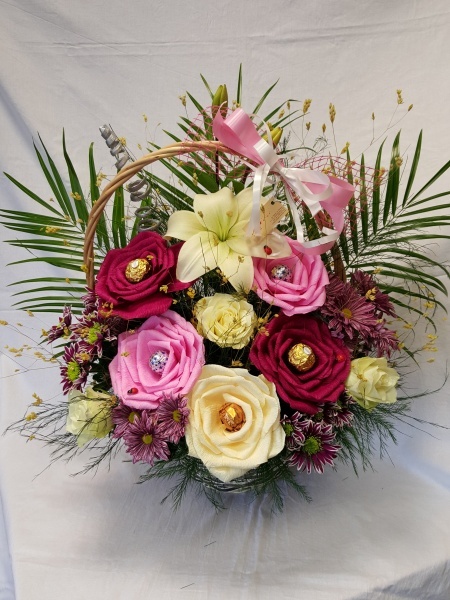 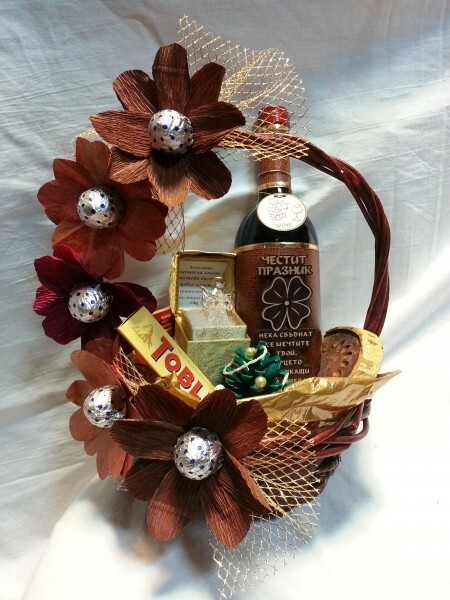 Gift Basket to my beloved mom! 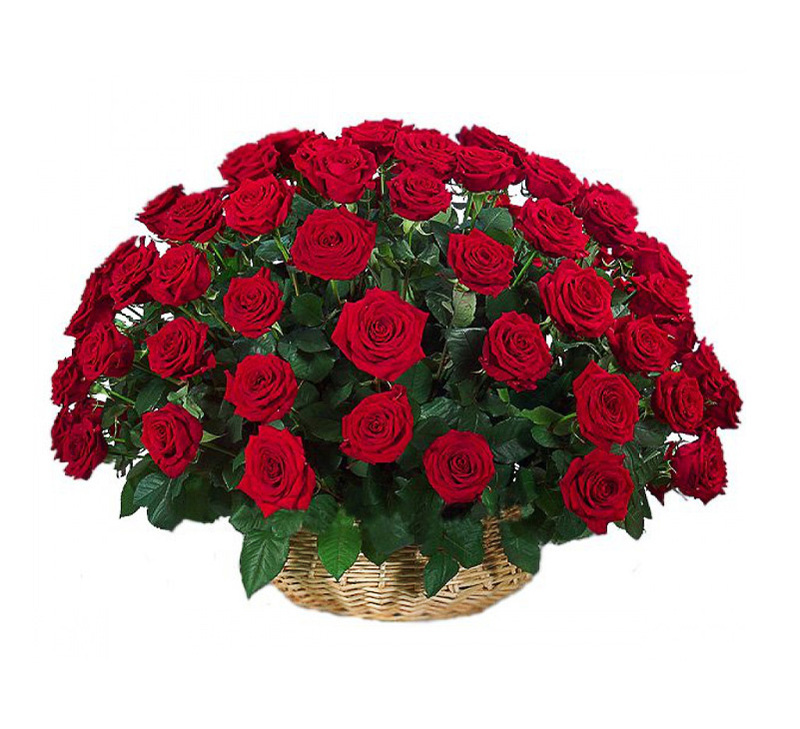 I want to say I love you! 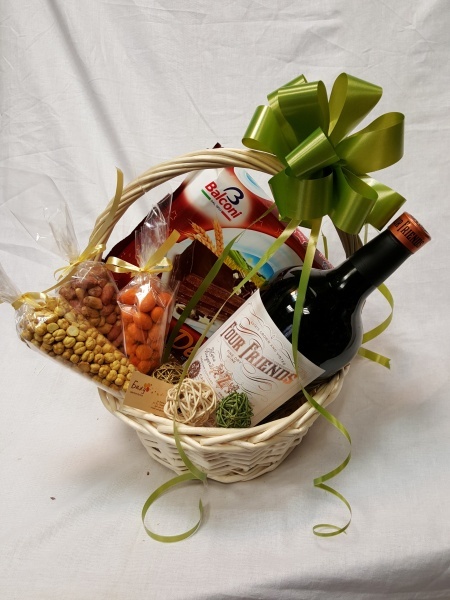 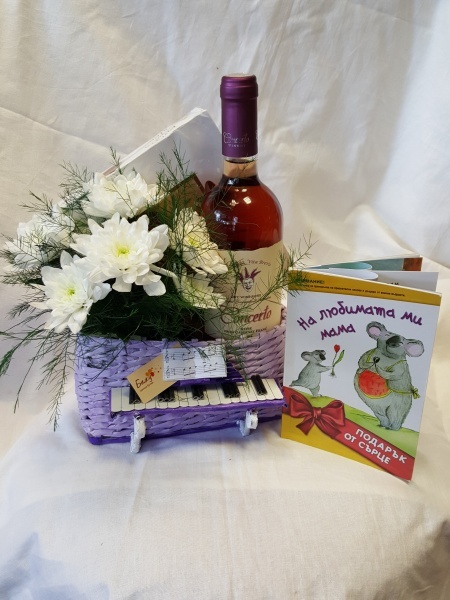 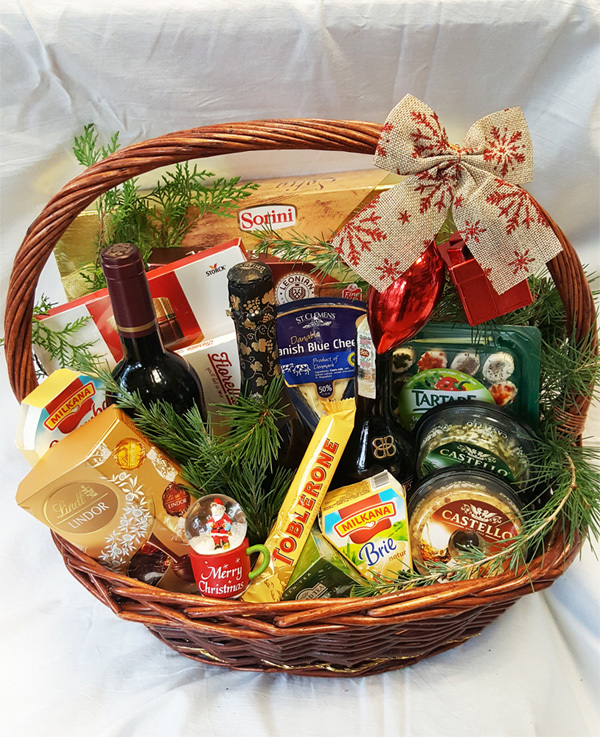 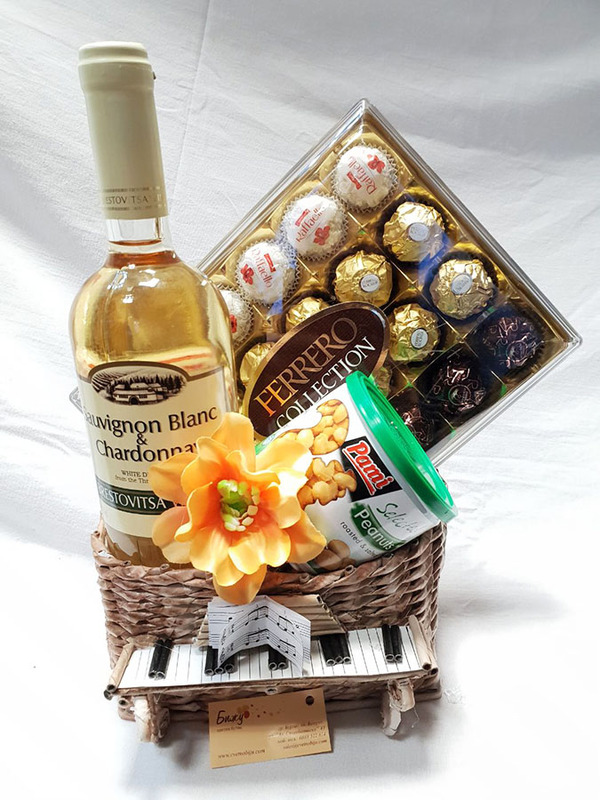 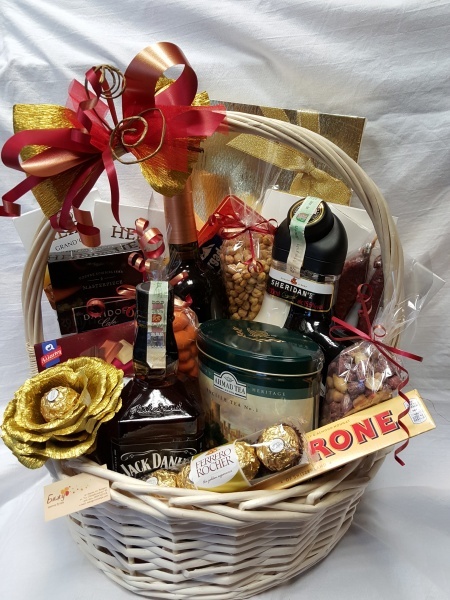 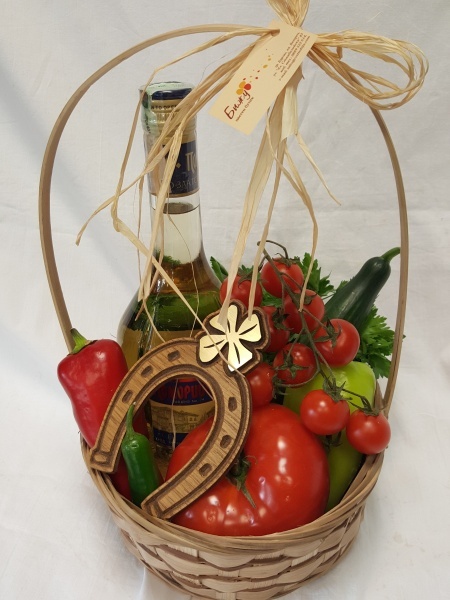 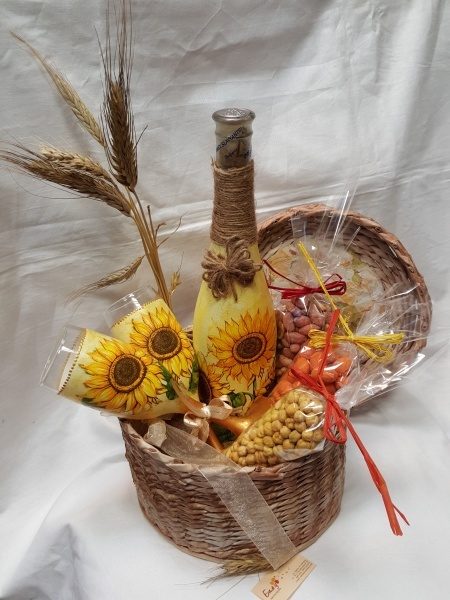 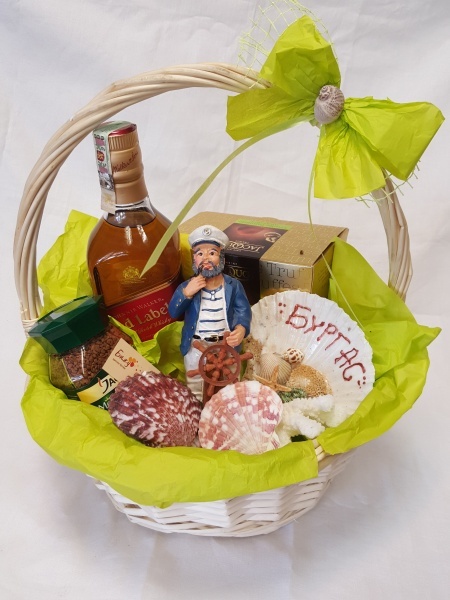 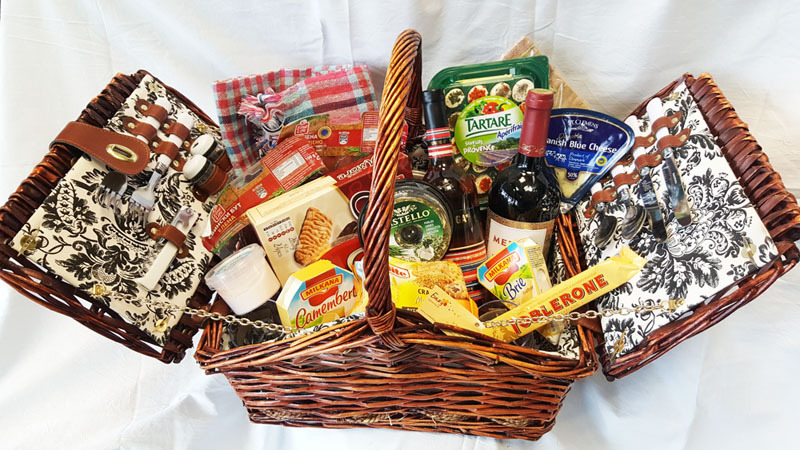 Basket with a bottle of wine, fresh roasted nuts and a delicious chocolate cake. 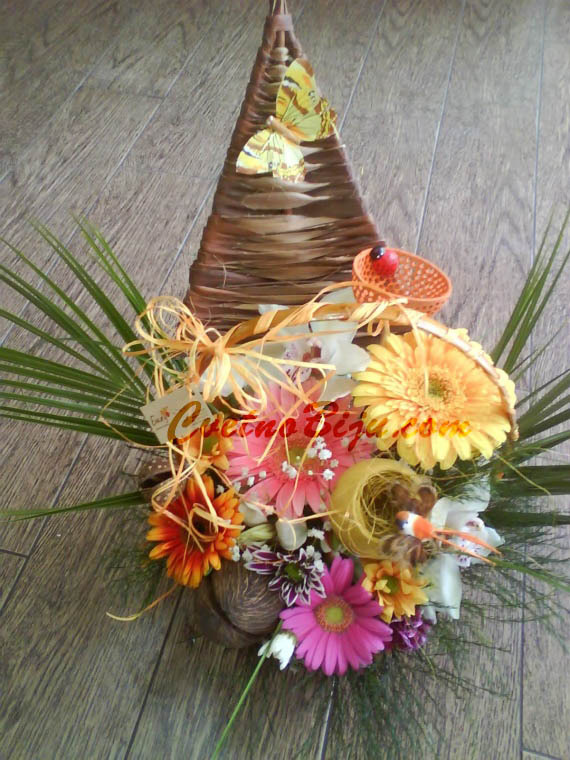 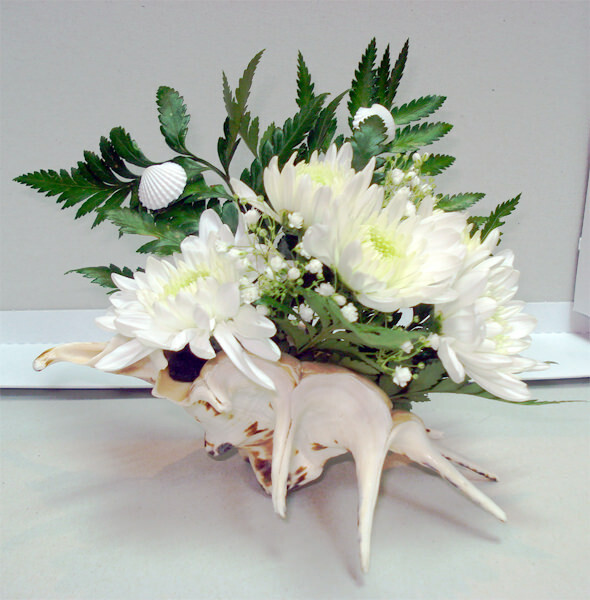 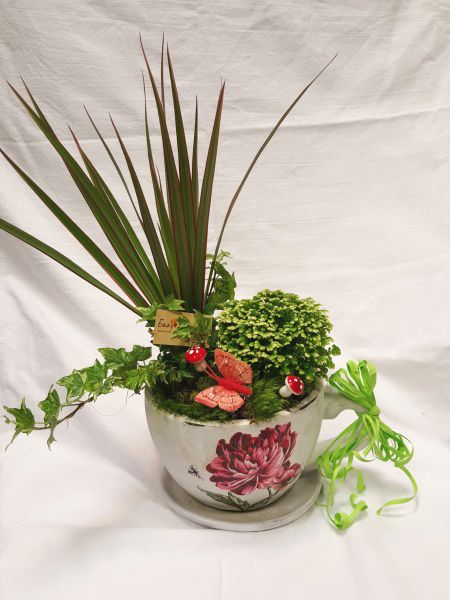 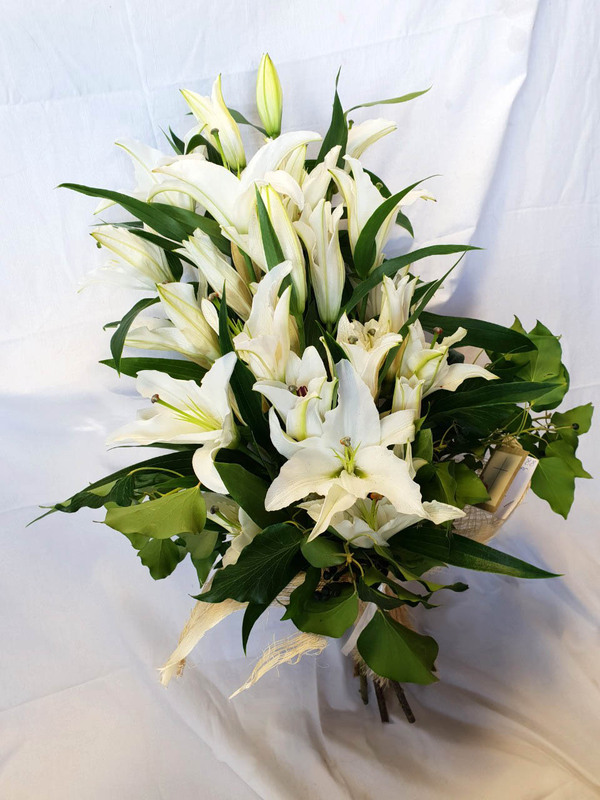 Natural ocean Rapana arranged with chrysanthemum and appropriate greenery. 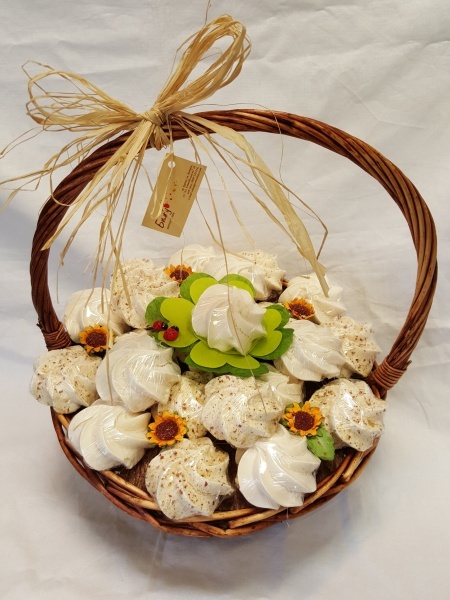 Basket full of meringues for your loved ones. 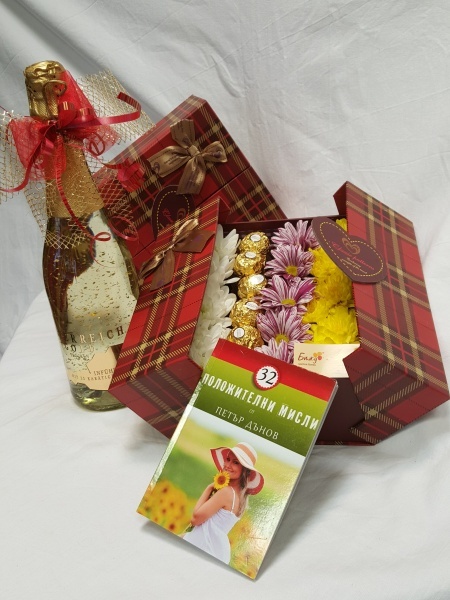 Meringues are packed wrapped with transparent film. 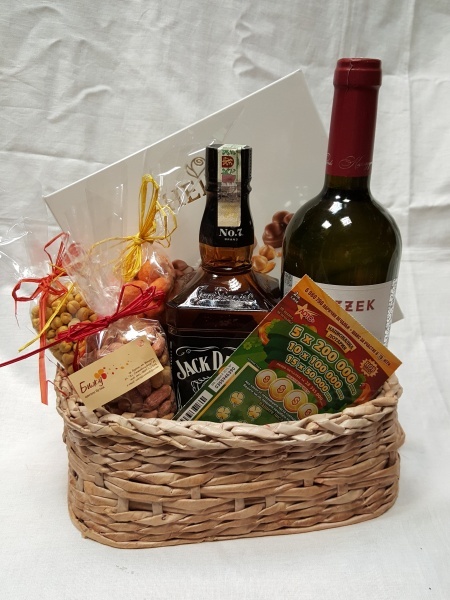 Bottle of high quality Whiskey, a bottle of wine, a box of chocolates, nuts and a lottery ticket. 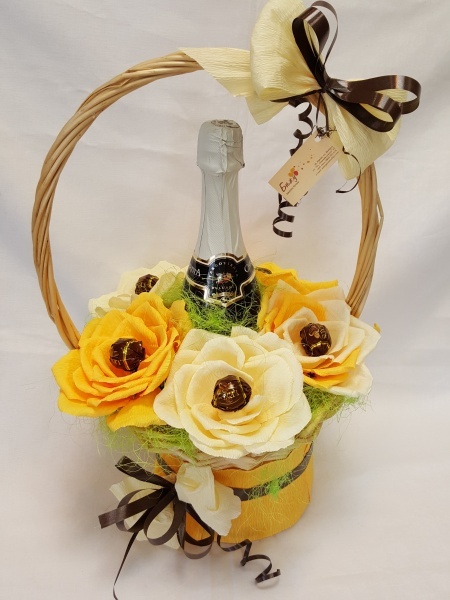 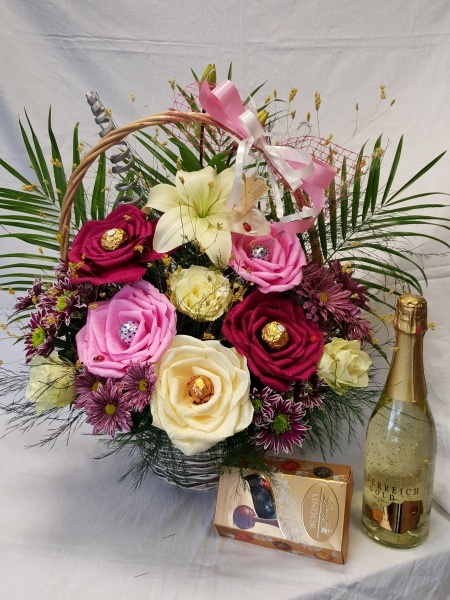 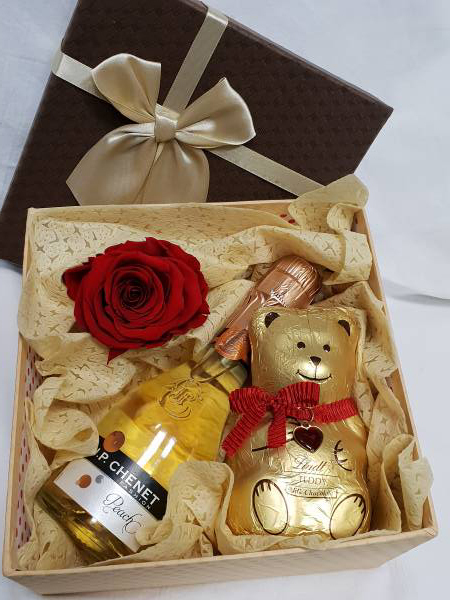 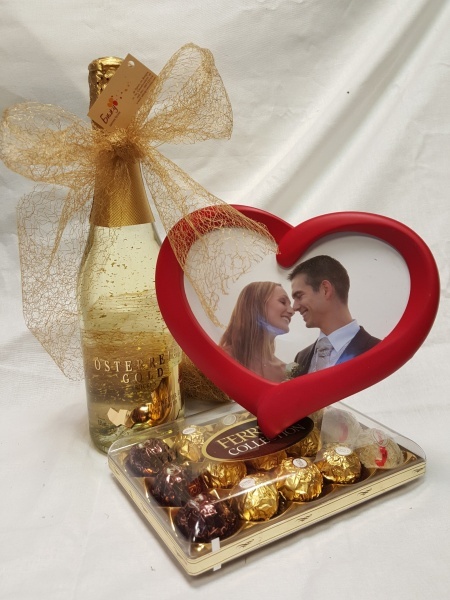 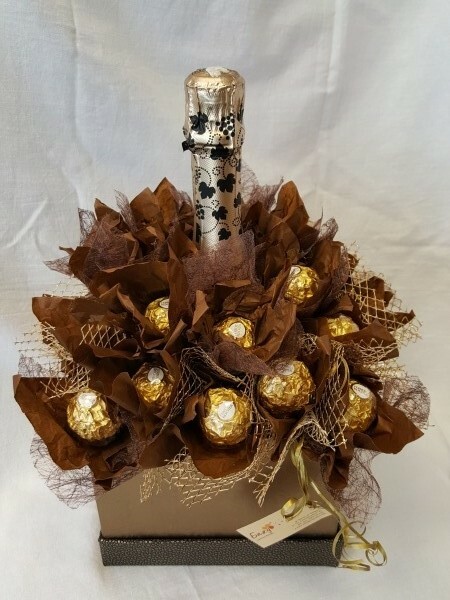 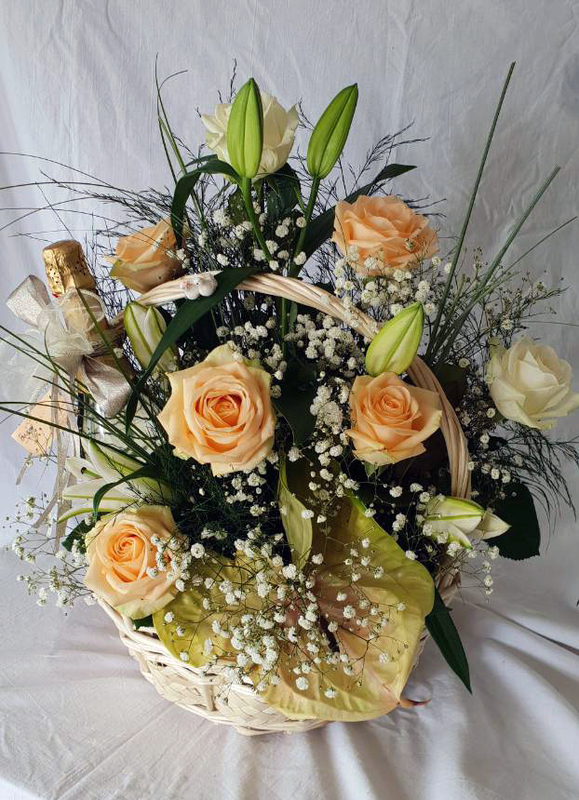 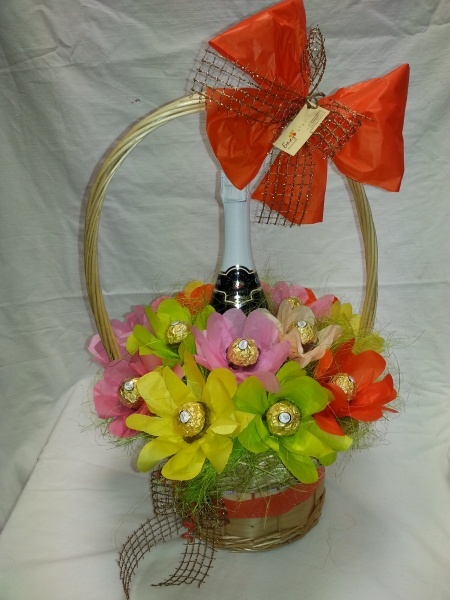 Bottle of sparkling wine and chocolates decorated as yellow roses.